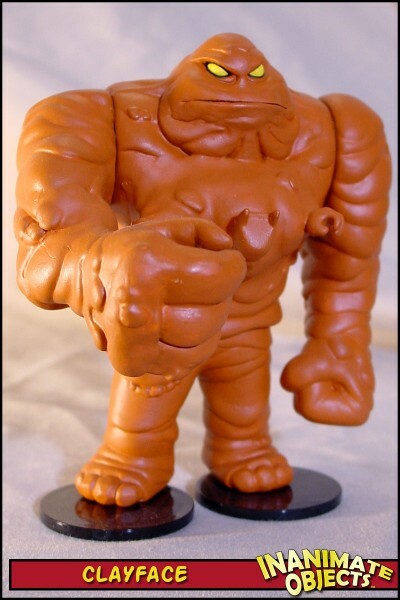 I’d always wanted to make a Clayface that was in some way changing shape. I toyed with this idea for years. Then I saw Charlie Jackam’s great Transforming Clayface. It looked great, and proved the idea could work. 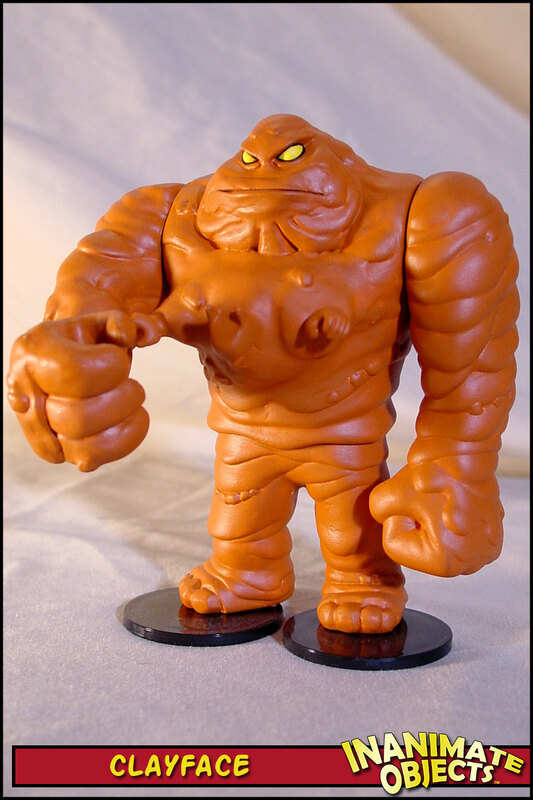 One of my favorite images comes from the episode “Mudslide,” where Batman tries to break out of Clayface’s interior. I wanted to make a representation of that, and this is the result. 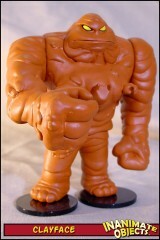 It’s really nothing more than a lump of plumber’s epoxy, Bats’ head and hands. I further changed the look of the Hasbro version by changing the shape of the mouth with Kneadatite. Finally, I repainted him an accurate terra cotta color, with yellow eyes outlined in black.